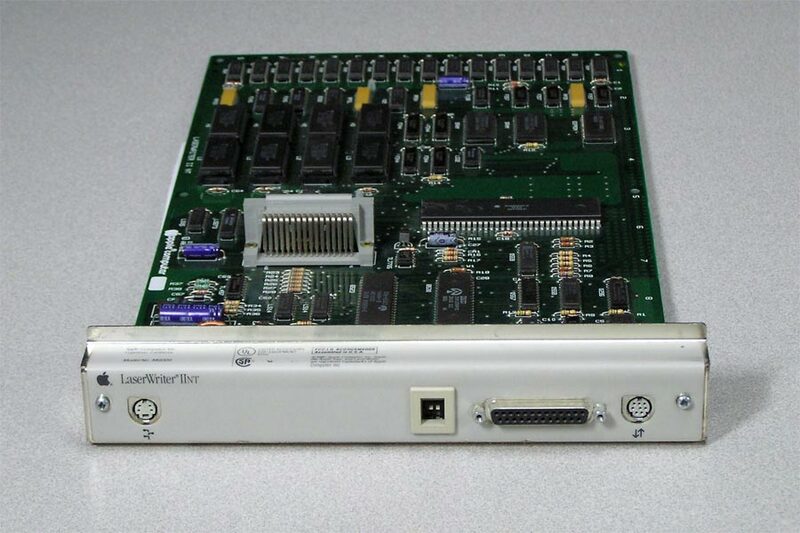 LaserWriter II controller boards for the IINT, IINTX, IIF and IIG. All have been tested to work and will come with the startup print page containing number of pages printed. IINT boards come with 2MB of on board RAM. 1396 to 142078 pages printed. 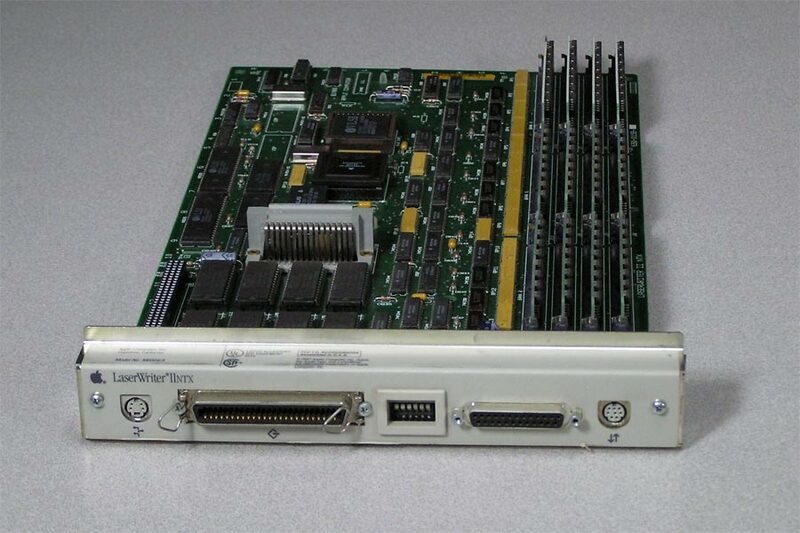 IINTX boards are available with 2 to 5MB of RAM. 7609 to 403163 pages printed. 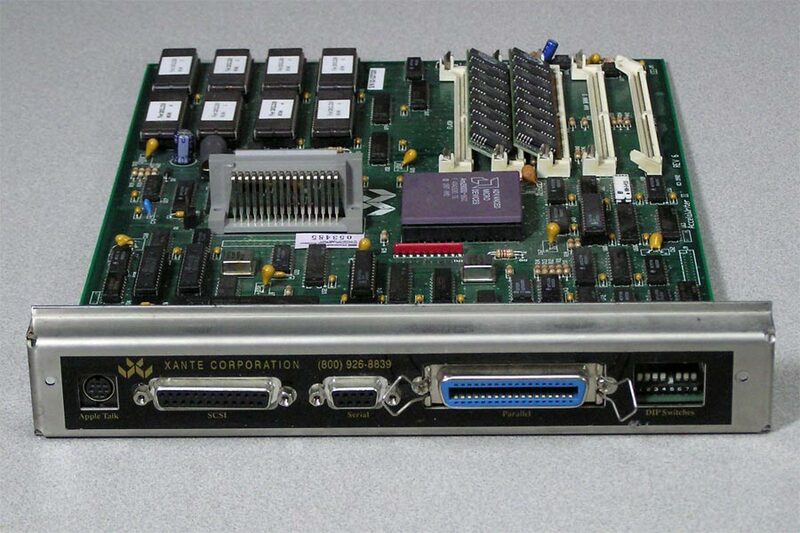 IIf boards are available with 5 or 8MB of RAM. 23331 to 33005 pages printed. 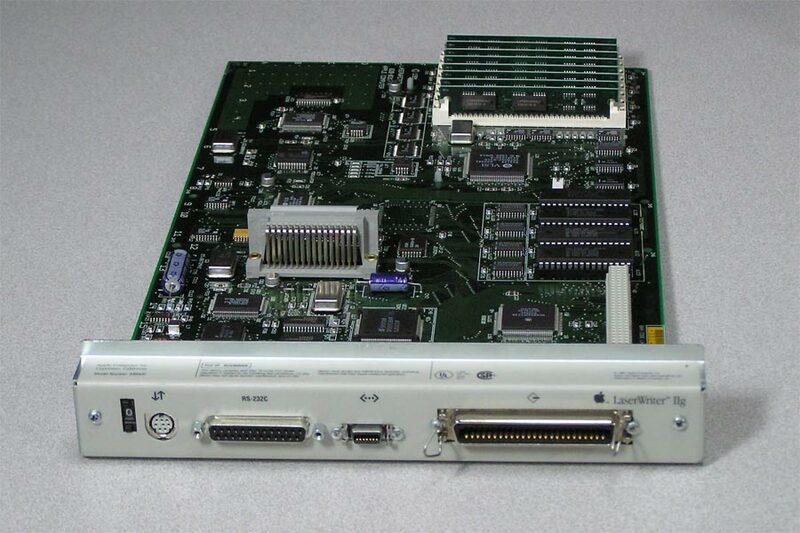 IIg boards are available with 5 or 8MB of RAM. 2679 to 67497 pages printed. 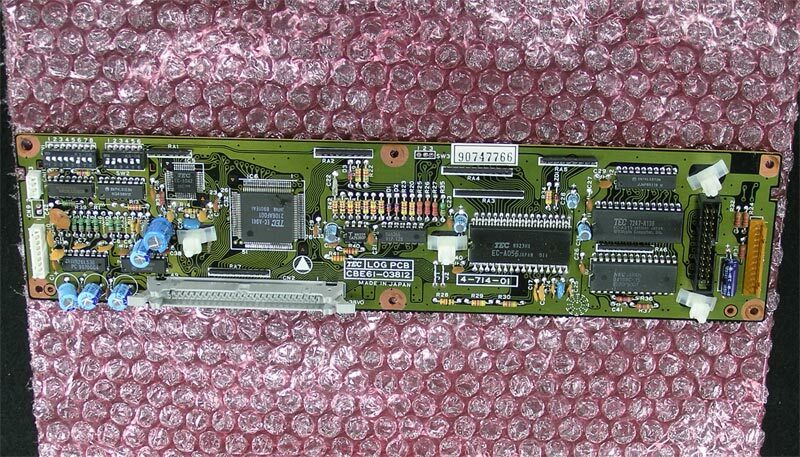 Accelawriter board is a third party resident controller board by Xante with 8MB RAM and 28879 pages printed. Lowest page numbers boards will ship first. Please note that these boards, like the 68k Macs, have capacitors that may need to be replaced. All were working when tested, and will be visually inspected before shipping, I have no means of testing again before shipping as I don't have a LaserWriter II in stock anymore. Sold as-is, no warranty. 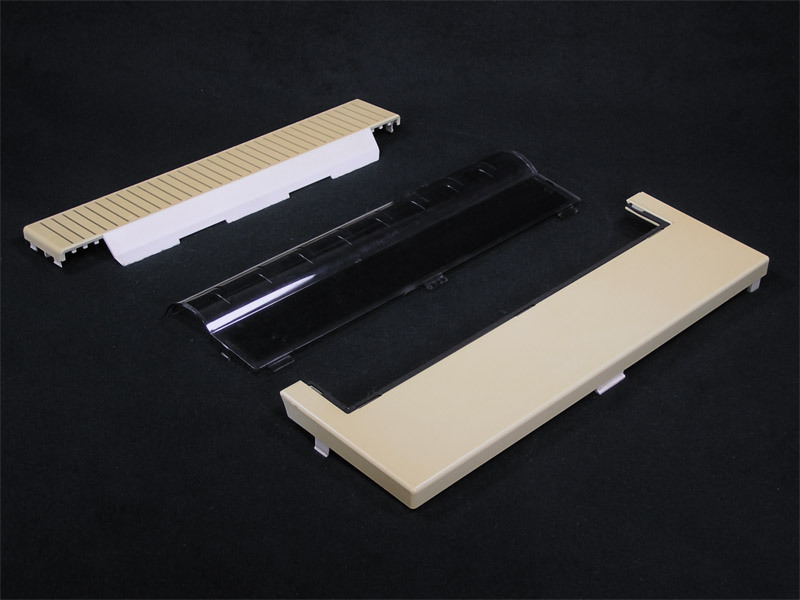 Nice input tray assembly for the HP Officejet 590 All In One printer. 500 Series printer, C3801A. 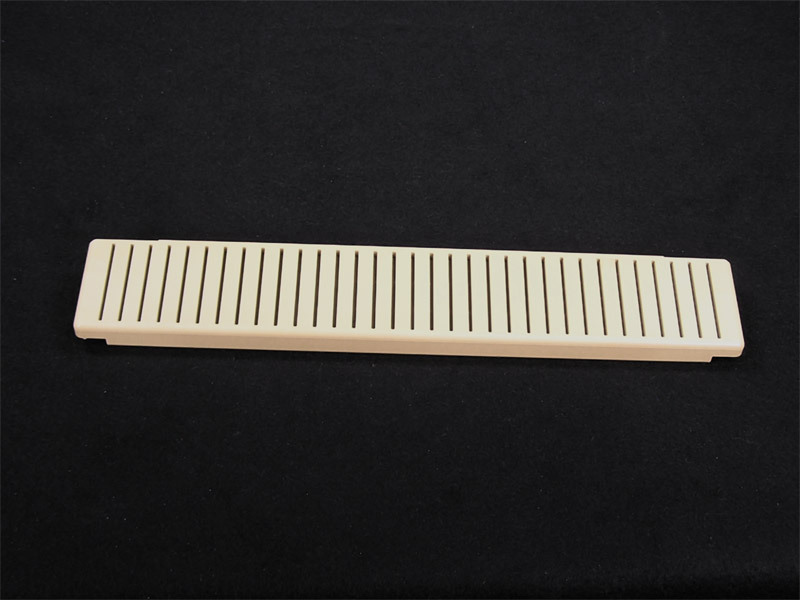 Bottom case for the ImageWriter II printer, Model A9M0310 only. 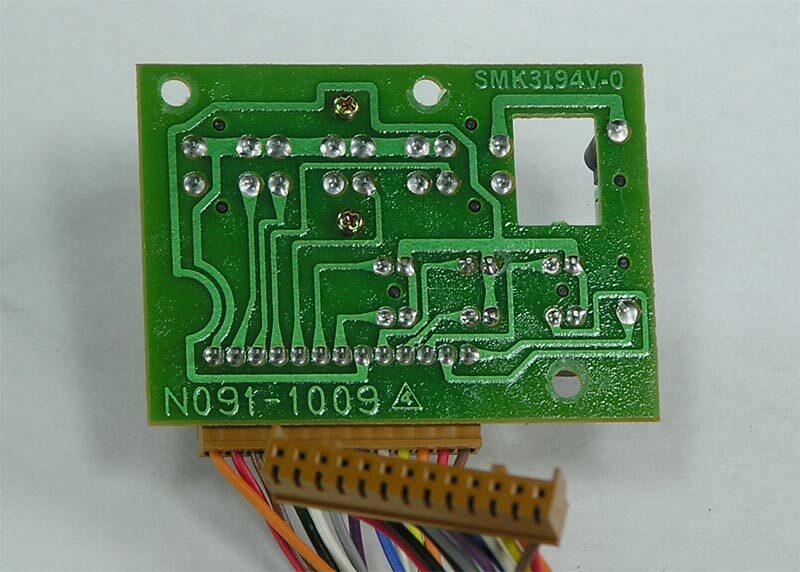 This board and wiring, like most of the electrical is different between an ImageWriter II Model A9M0310 and A9M0320. 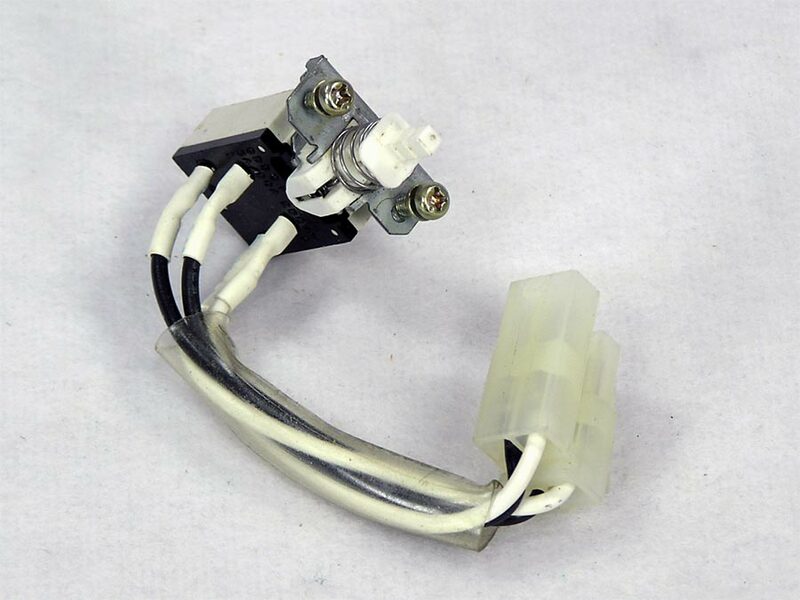 Contact me if you need this part for Model G0010.. 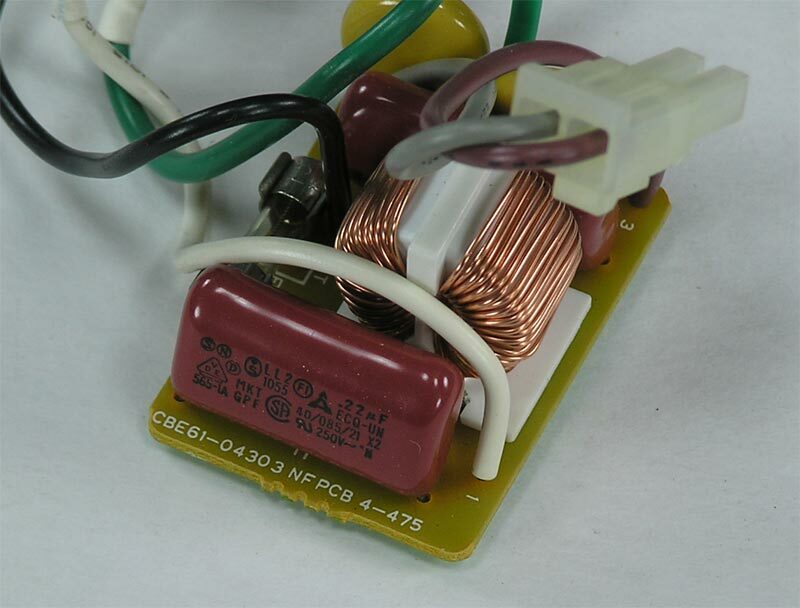 The photos have captions, but the first 2 are model A9M0310, board CBE61-04302 with long wires to the switch.The next 2 are model A9M0320, board CBE61-04303 with short wires - also included with this one is the ground wire to the power supply. Carrier Assembly for the ImageWriter II printer. 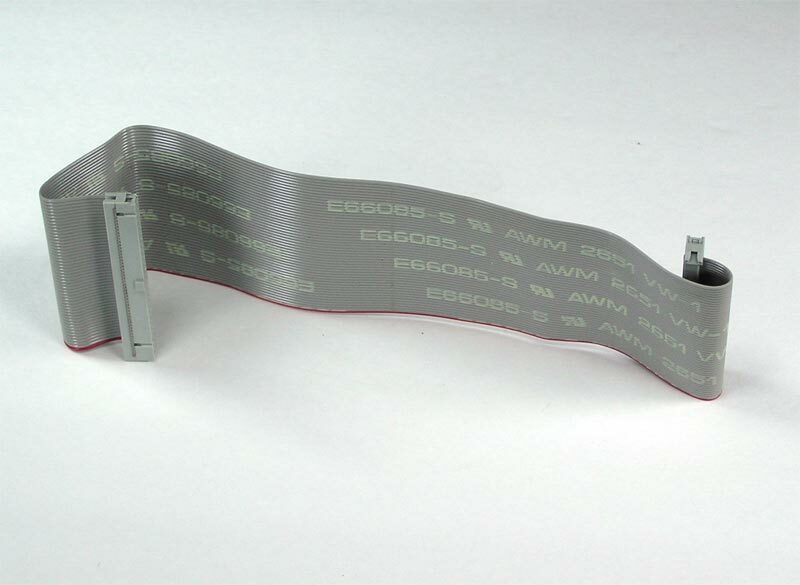 This includes the Ribbon cable leading to the Power Supply, Ribbon Cam Assembly and Ribbon Wire and gears. It is everything that the printer ribbon sits on except the print head and paper guide. **This is the complete assembly intact including the drive belt. 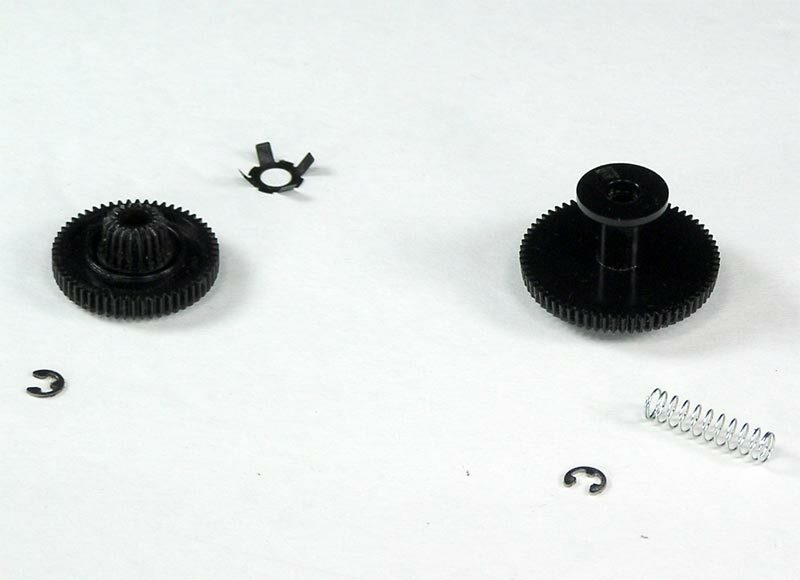 The second one shown will continue to be available if you need specific parts from it for Model A9M0320. Image is from an ImageWriter II Model A9M0320. Select your model below . 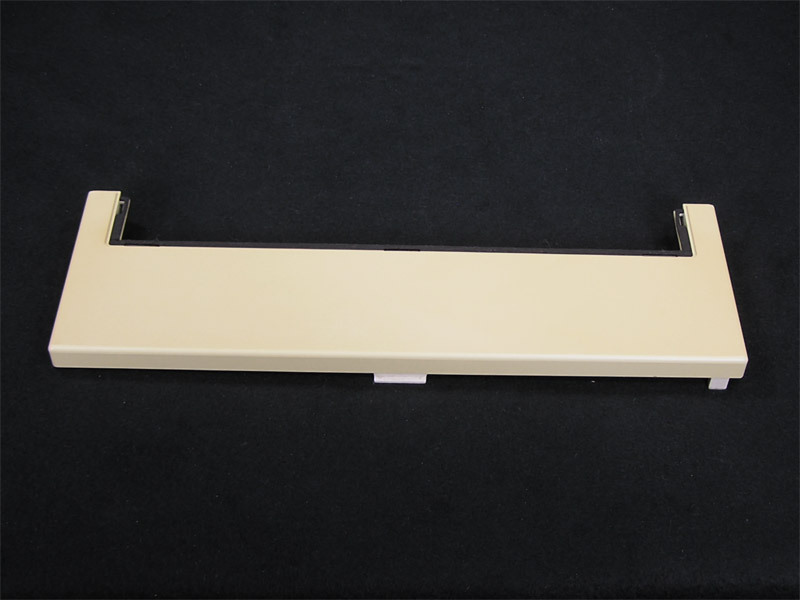 Contact me if you need this part for model G0010. 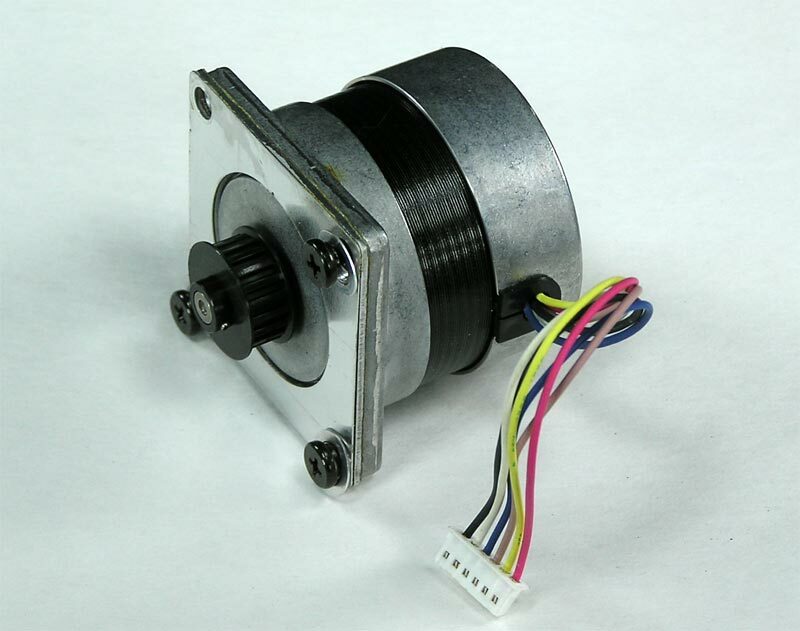 Carrier Motor for the ImageWriter II printer. 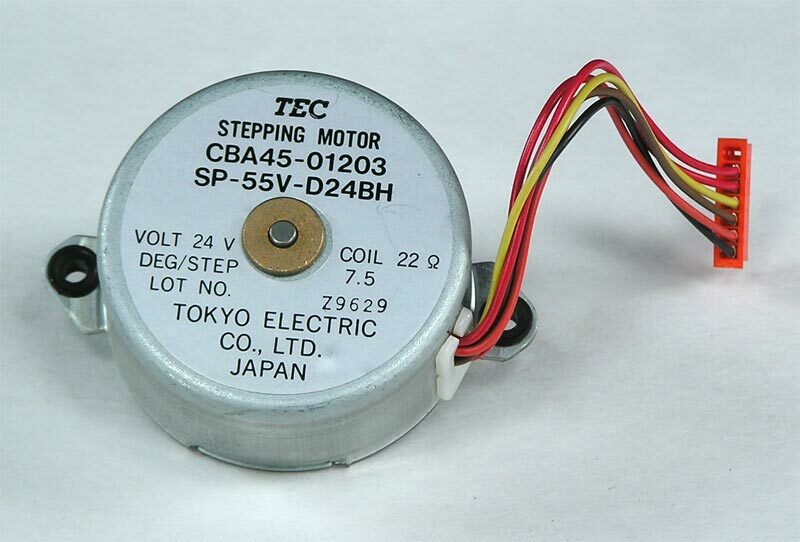 TEC Stepping Motor CBA45-01101. Unknown at this time if it will work with G0010. Contact me if you need this part for that model. 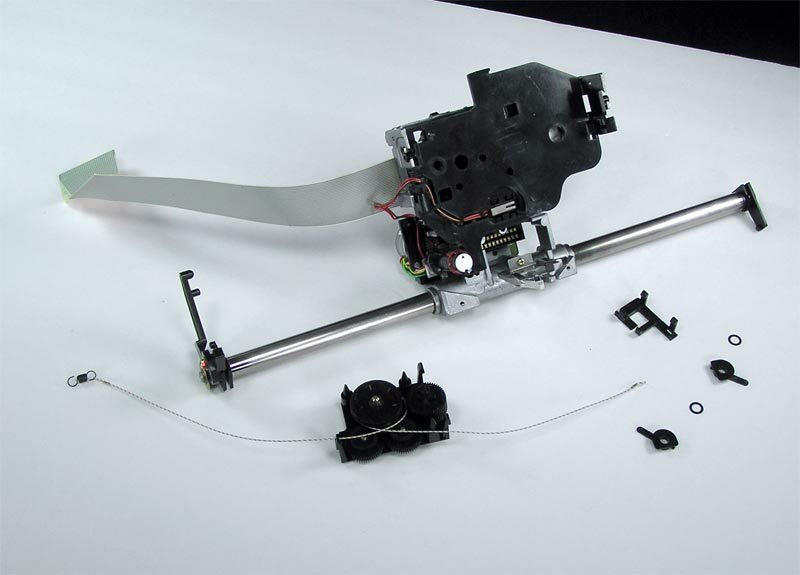 Drive Belt for the ImageWriter II printer. 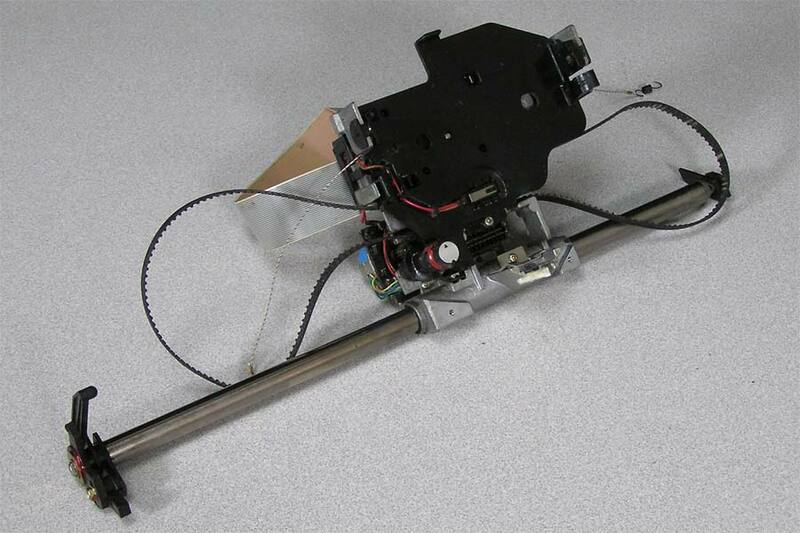 This is the belt that moves the print head back and forth. This was taken from an ImageWriter II Model A9M0320, not positive at this time if it will work with A9M0310 or G0010. 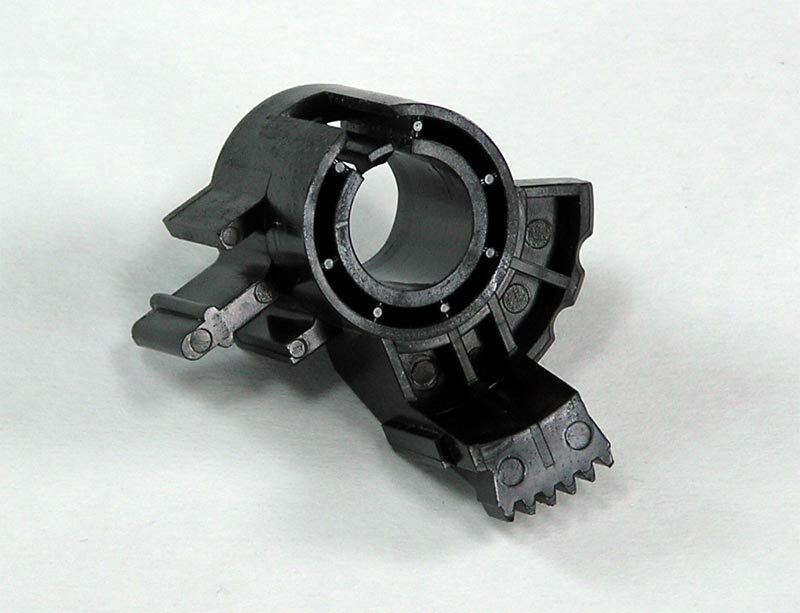 Contact me if you need this part for one of those models. 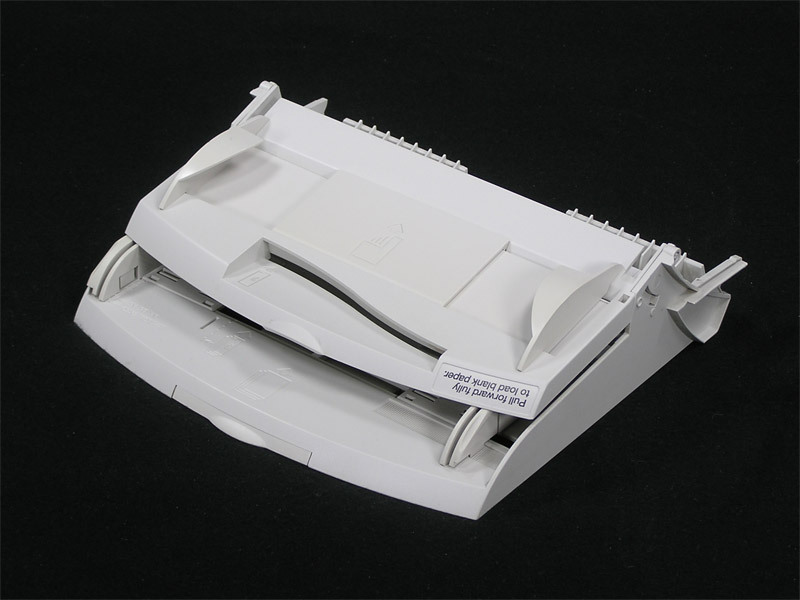 Image is from an ImageWriter II Model A9M0320, select your model below. 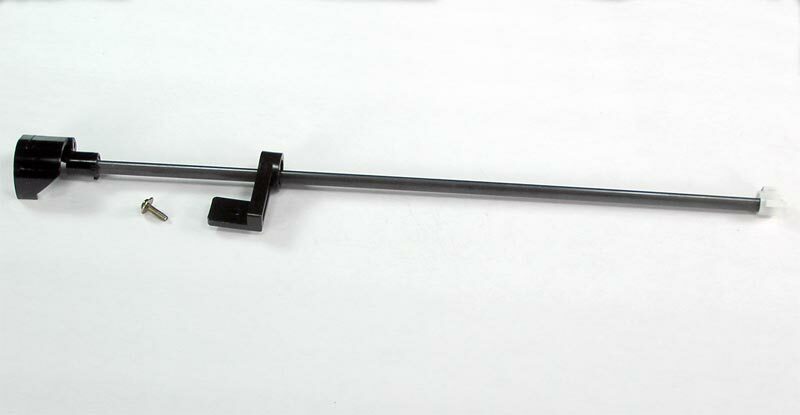 Contact me if you need this part for model G0010. ImageWriter II Ground from Main Board to power supply. This wire appears to be the same between an ImageWriter II Model A9M0310 and A9M0320, but bent slightly different. 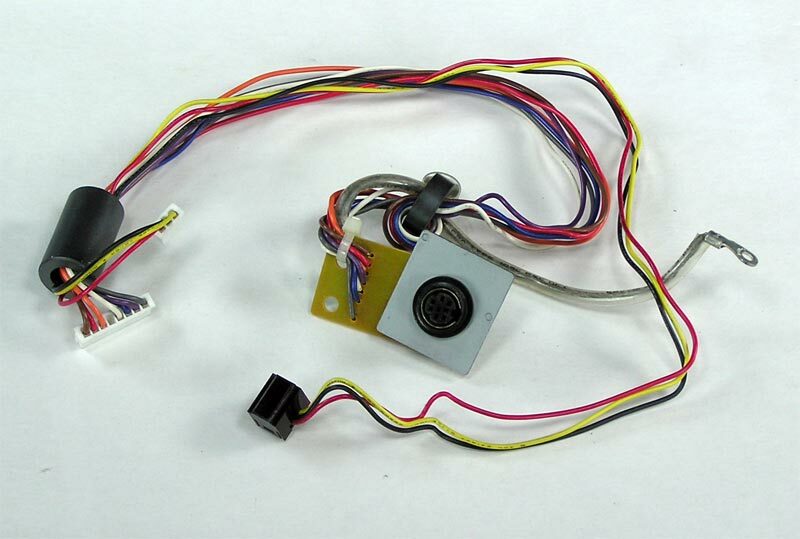 Contact me if you need this part for Model G0010..
Line Feed Motor for the ImageWriter II printer. 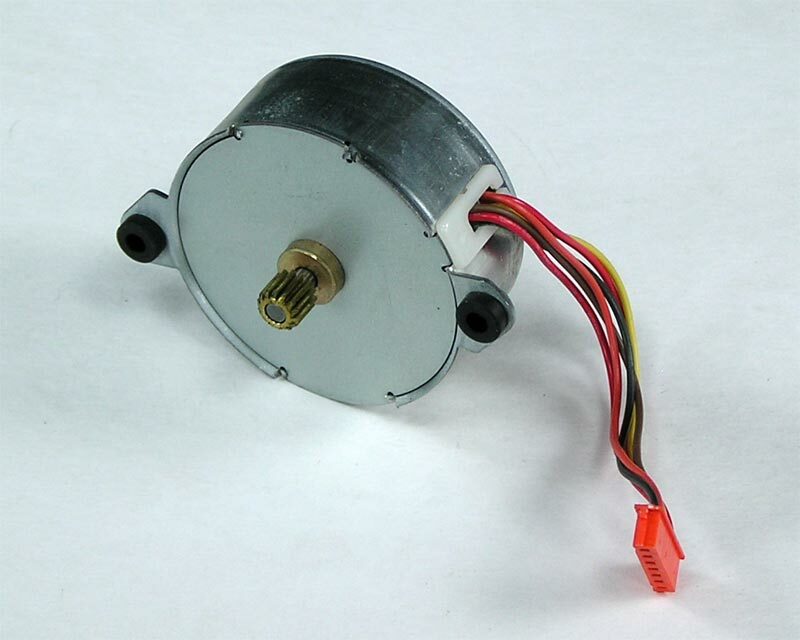 This motor, like most of the electrical is different between an ImageWriter II Model A9M0310 and A9M0320. 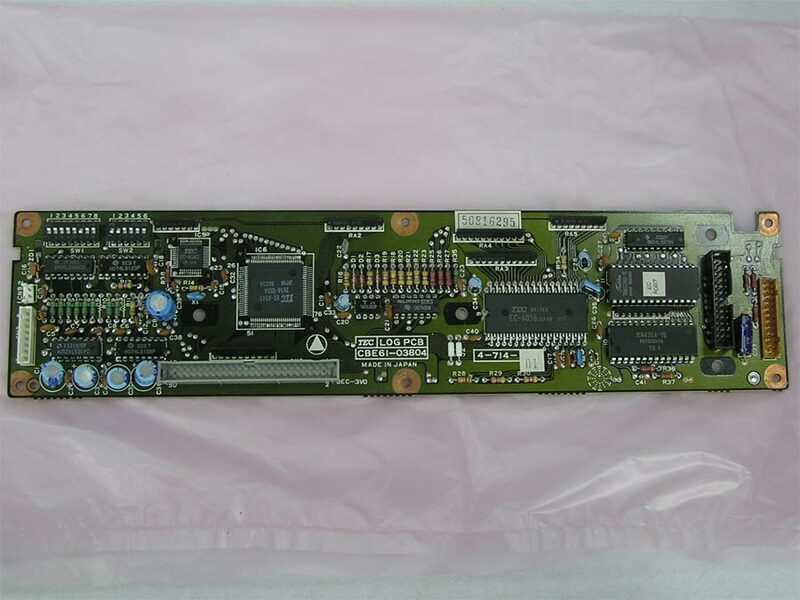 Contact me if you need this part for Model G0010..
Main Board (Logic Board, Motherboard) for the ImageWriter II printer. For the ImageWriter II Models A9M0310 and A9M0320: There are at least two main boards. 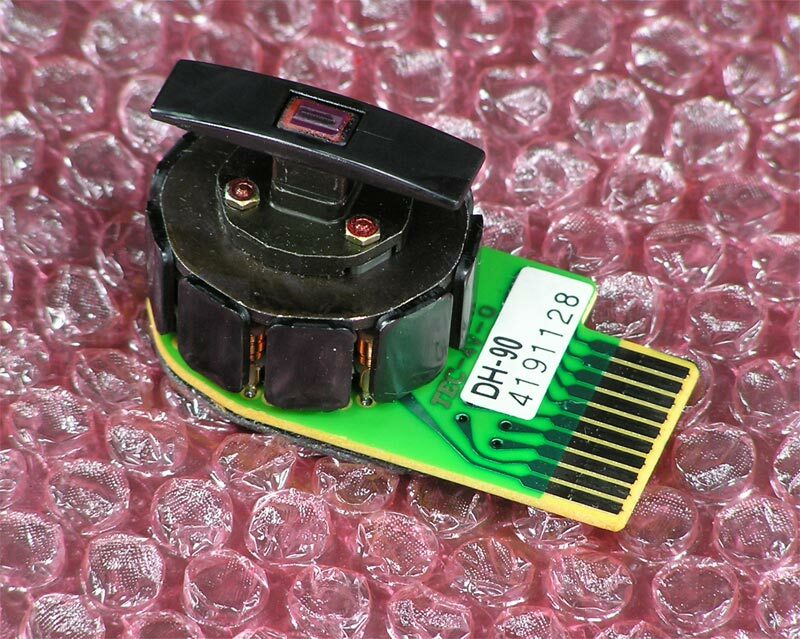 The differences between these are related to the paper sensors - mechanical or optical. It will be easiest to match up with your board so that the paper sensor works. I'll try to get some better pics up of the differences. 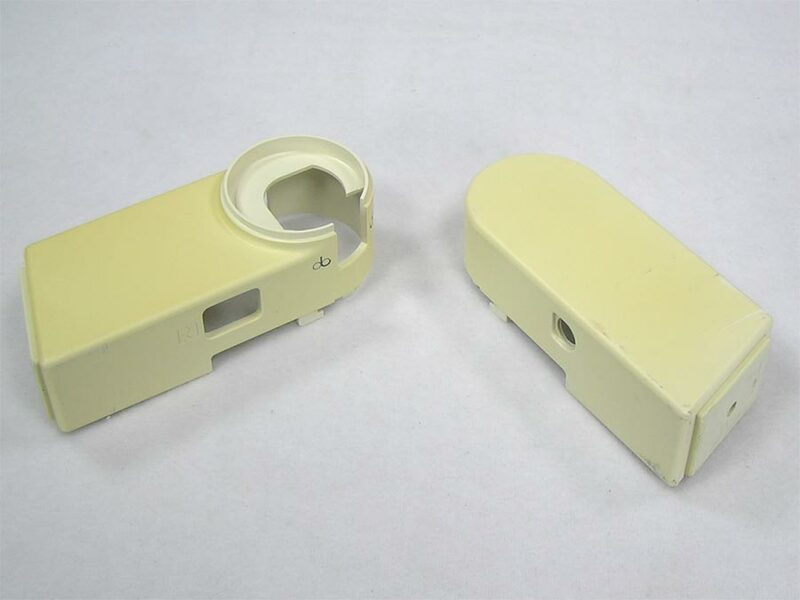 Contact me if you need this part for Model G0010. 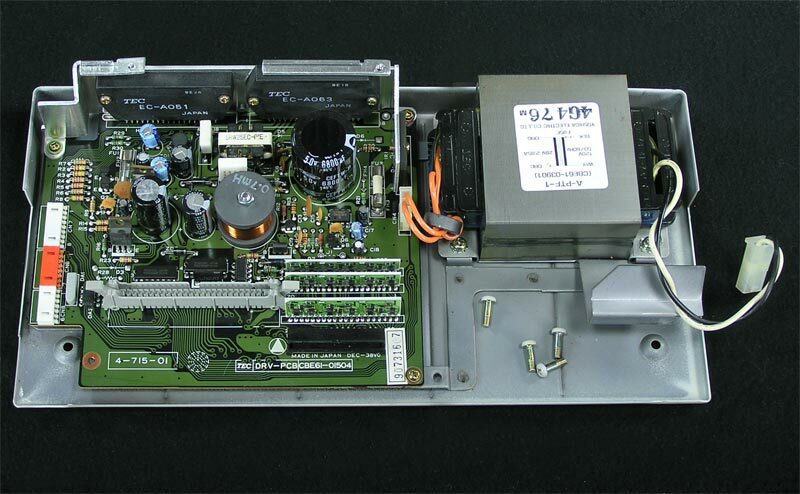 Ribbon Cable goes from the Main Board to the Power Supply Board for the ImageWriter II printer. ImageWriter II Model A9M0310 and A9M0320 are the same cable with slightly different bends. Pictured cable is from A9M0320.Contact me if you need this part for Model G0010.. 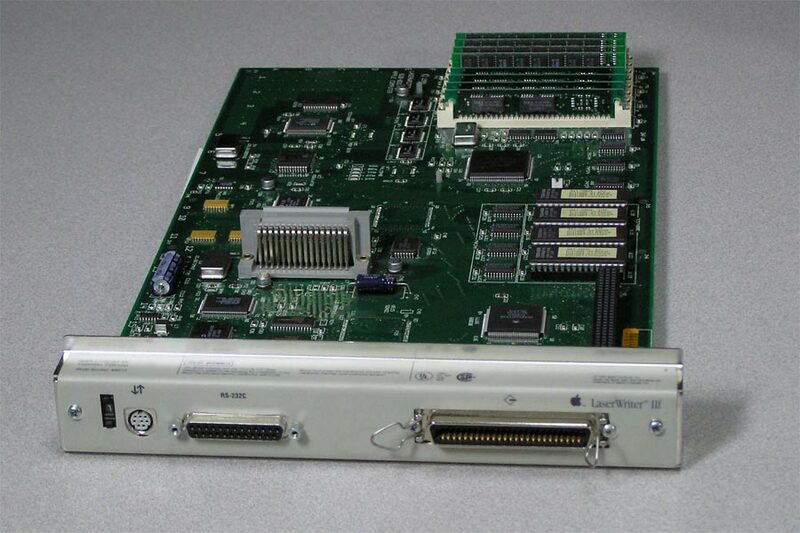 This board and wiring, are identical between an ImageWriter II Model A9M0310 and A9M0320. The buttons are different colors - Snow White for the A9M0310 and Platinum gray for the A9M0320. 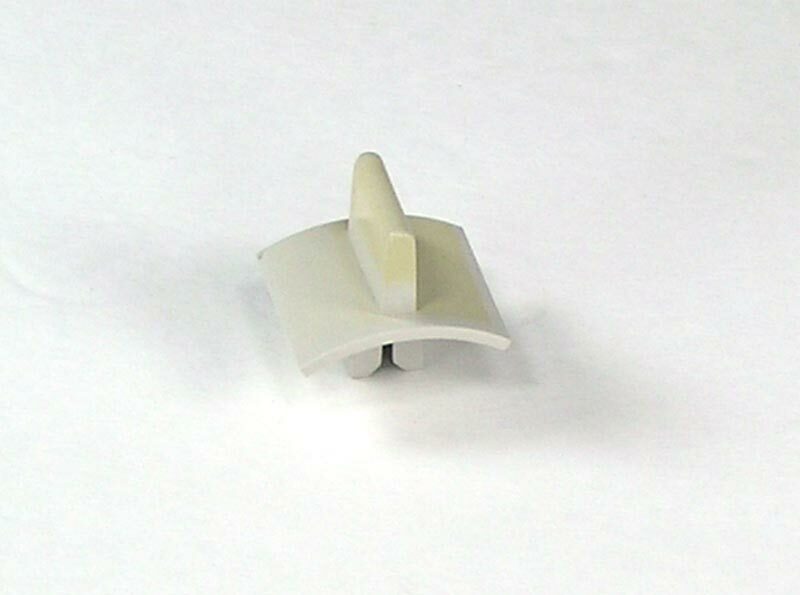 Contact me if you need this part for Model G0010. Image is from an ImageWriter II Model A9M0320. Select your model below. 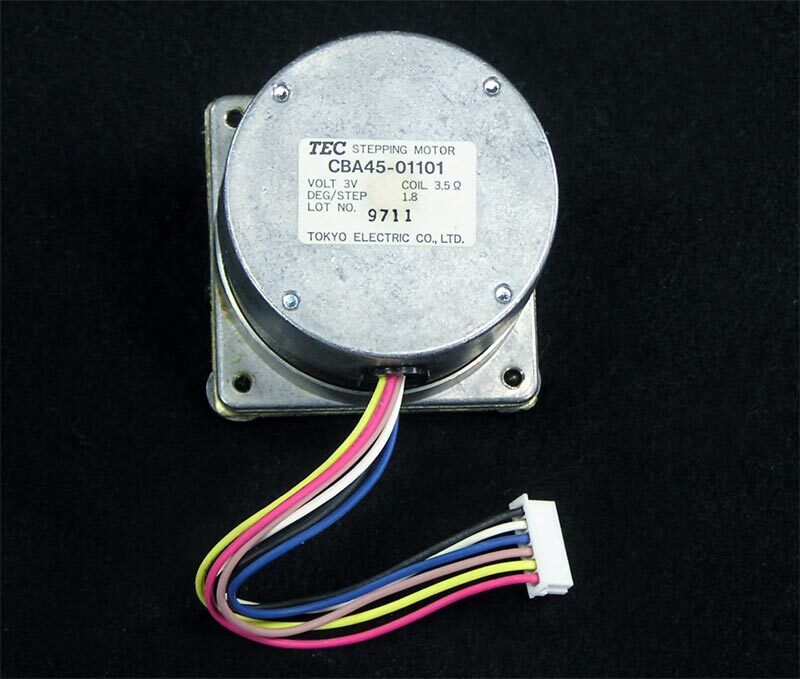 Contact me if you need this part for model G0010. 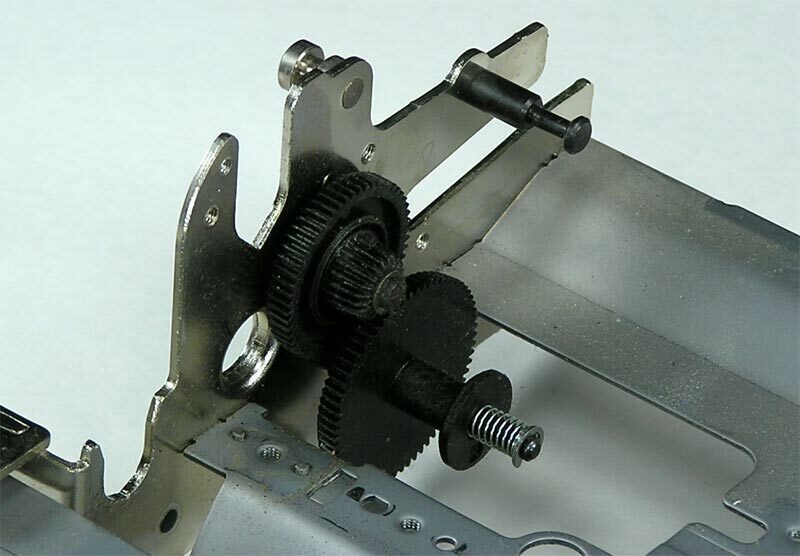 Paper Feed Selector - Internal section for the ImageWriter II printer. 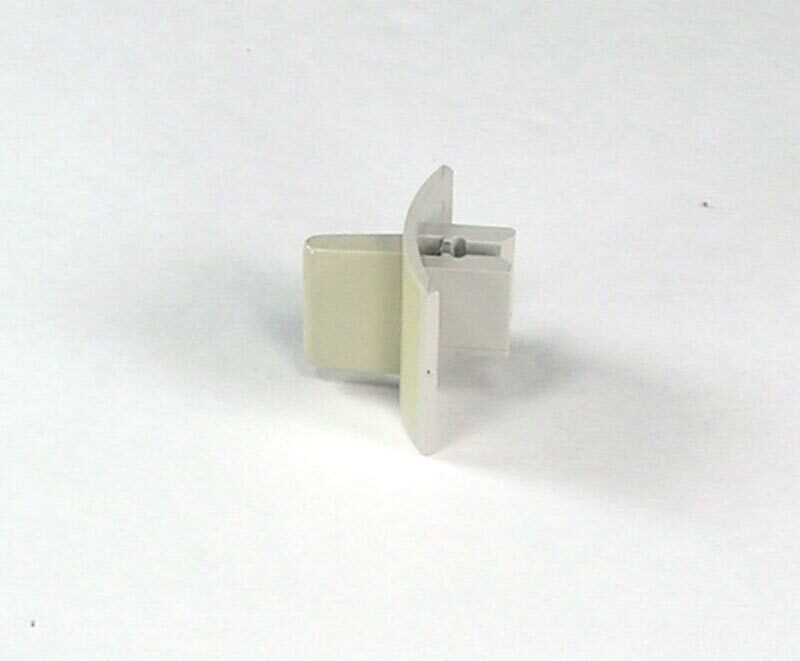 Paper Feed Select Lever (external) for the ImageWriter II printer. Image is from an ImageWriter II Model A9M0320. Select your model below, coloring is definitely model matched. 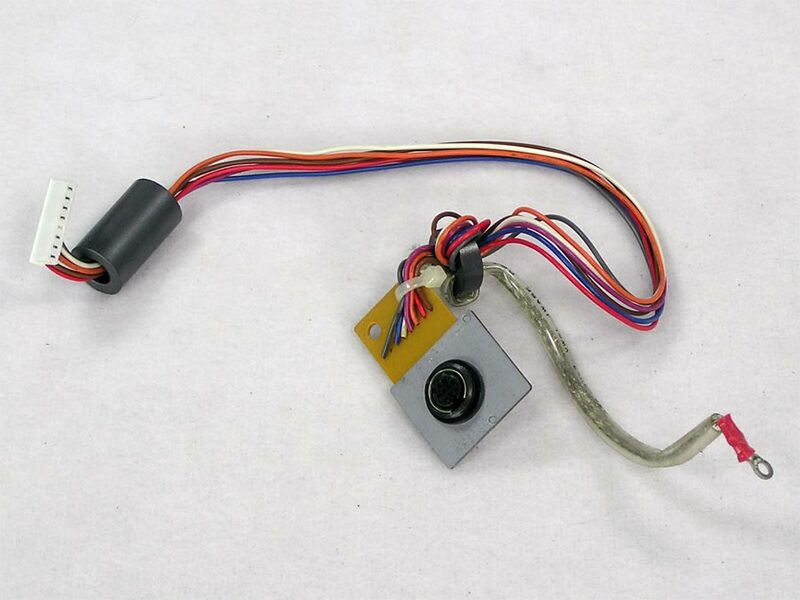 Contact me if you need this part for model G0010. Paper Guide for all ImageWriter II printers. This was taken from an ImageWriter II Model A9M0320, but will work with A9M0310 and G0010. I do have a couple of variations - the one pictured has a gold or copper colored center and I also have some with a silver colored center. May or may not come with screws. 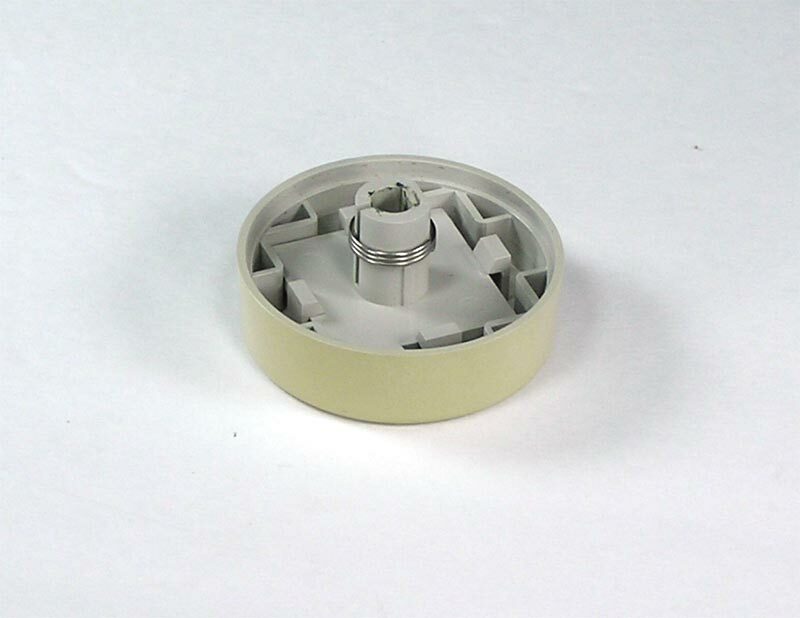 The knobs will work with any ImageWriter II, however, the first model, A9M0310 is a different color - "snow white" versus the platinum gray of the other models. I have several available, but all have some variation of discoloration. 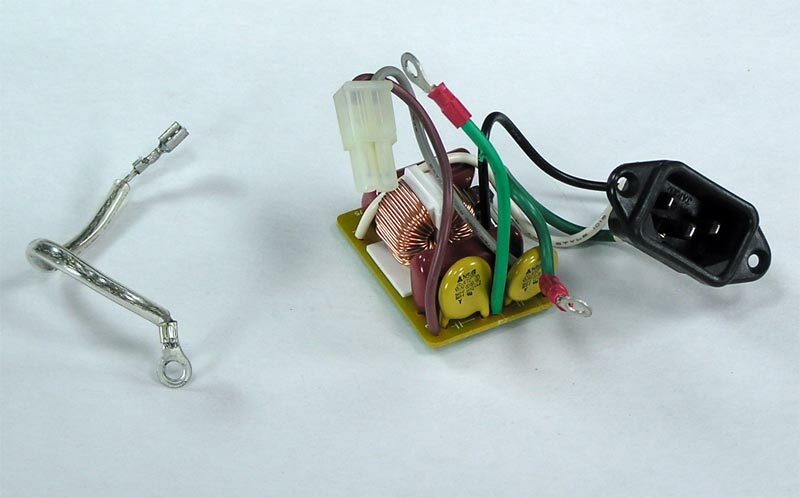 Power Supply assembly for the ImageWriter II printer. 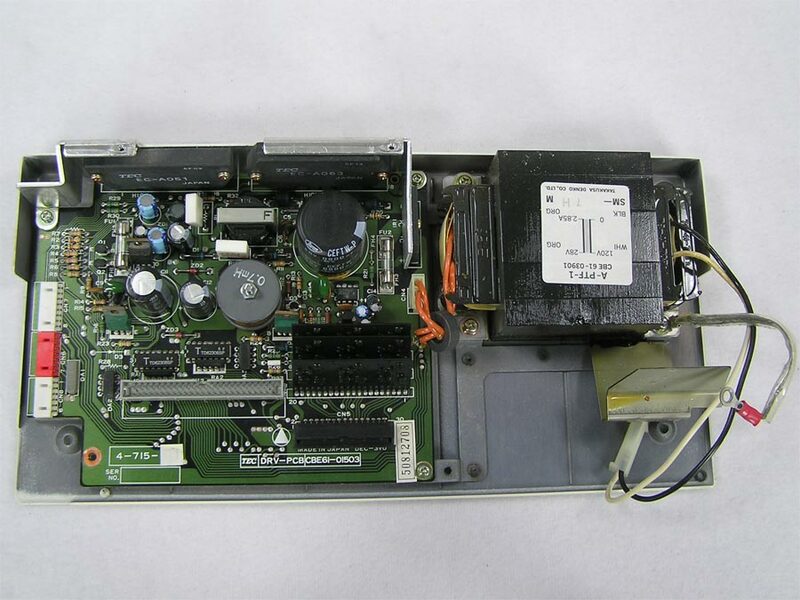 ImageWriter II A9M0310 and A9M0320 use boards CBE-61-01503 or CBE-61-01504. 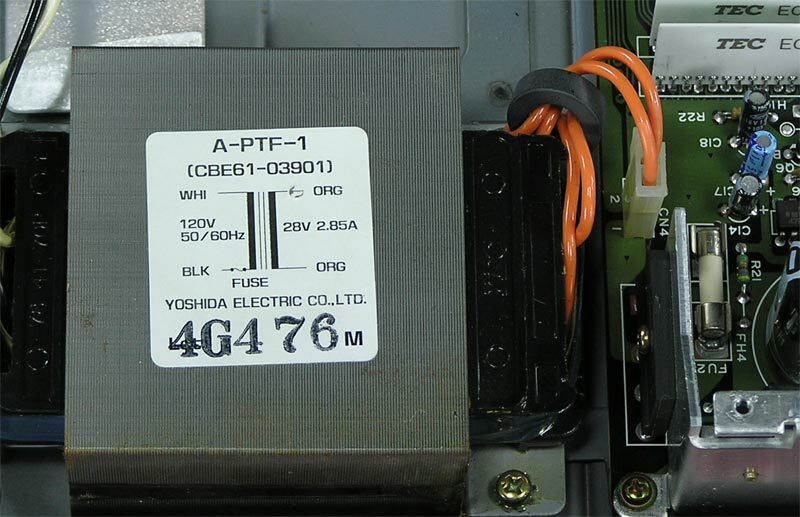 The transformers, A-PTF-1 (CBE61-03901) are available with or without the attached angled steel plate shown in the photo.Contact me if you need this part for Model G0010.. Available as the whole assembly as shown or separate pieces as well, select below. 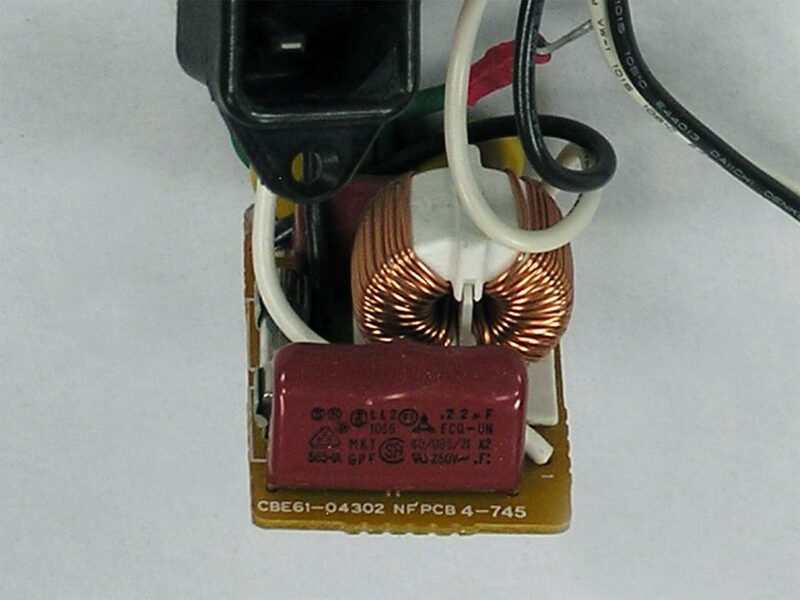 This wiring, like most of the electrical is different between an ImageWriter II Model A9M0310 and A9M0320. 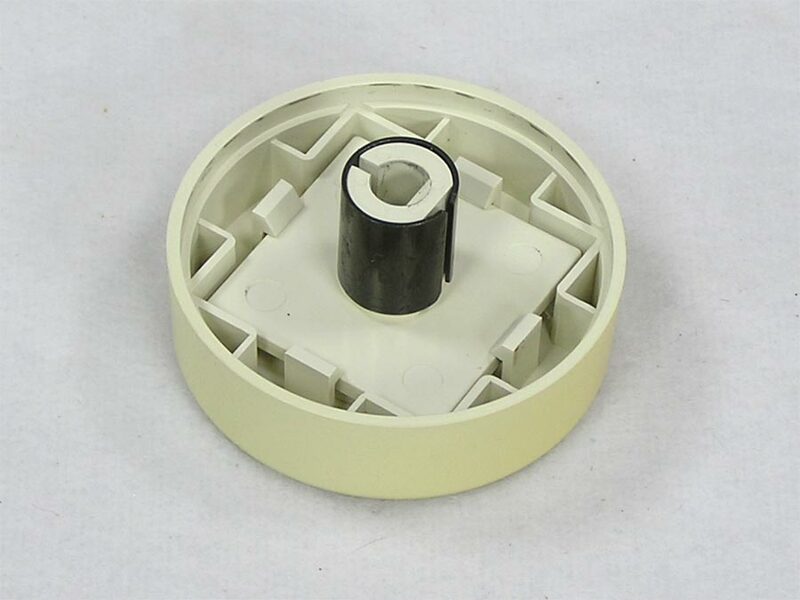 Contact me if you need this part for Model G0010..
A9M0310 has shorter black and white wires, A9M0320 has longer wires and different colors. 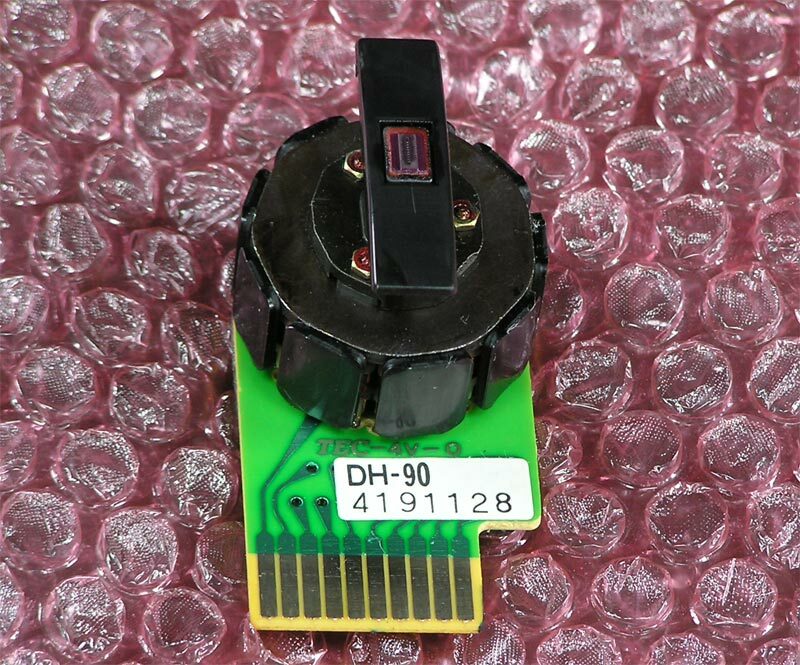 Print Head DH-90 for any ImageWriter II printer. ImageWriter II Model A9M0310, A9M0320, and G0010. 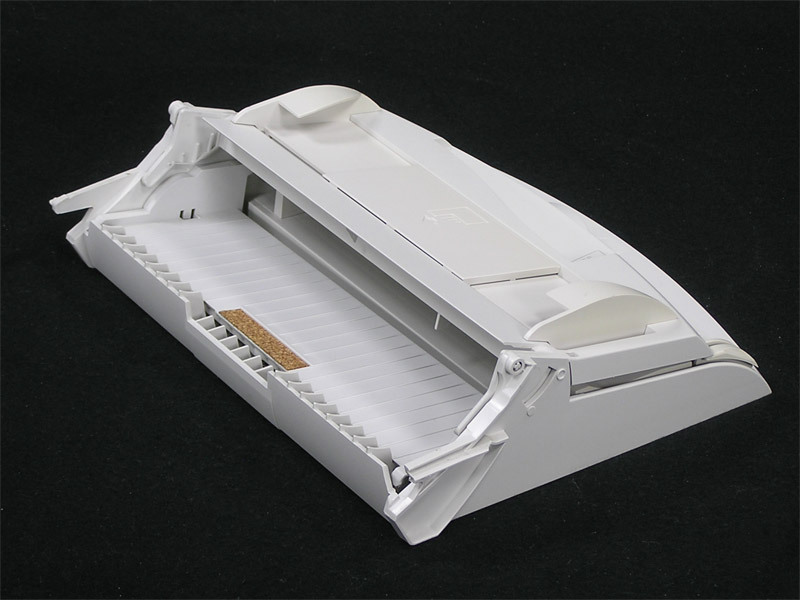 Covers available for the ImageWriter II printer include the rear Tractor Feed Cover, the Top Cover assembly, and the Top and Smoked covers separately. 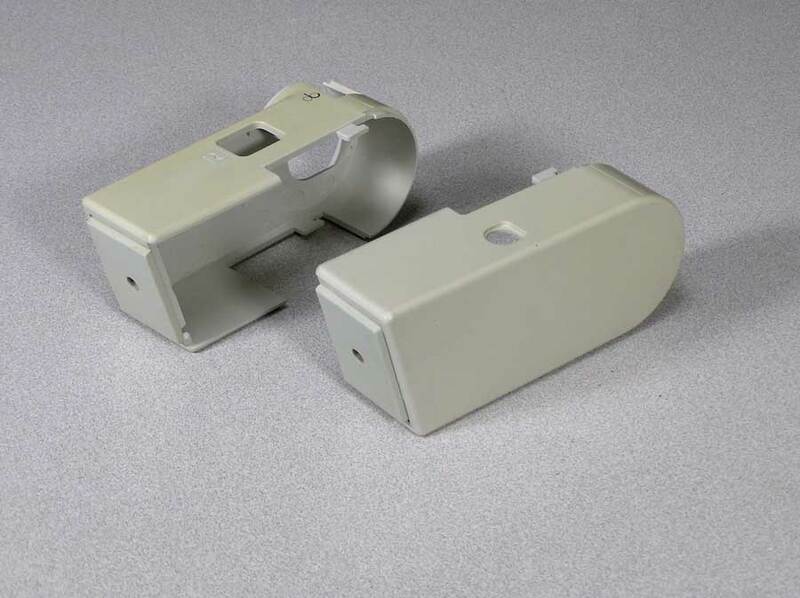 While some parts are interchangeable between the three ImageWriter II models, the first model, A9M0310 is a different color - "snow white" versus the platinum gray of the other models. 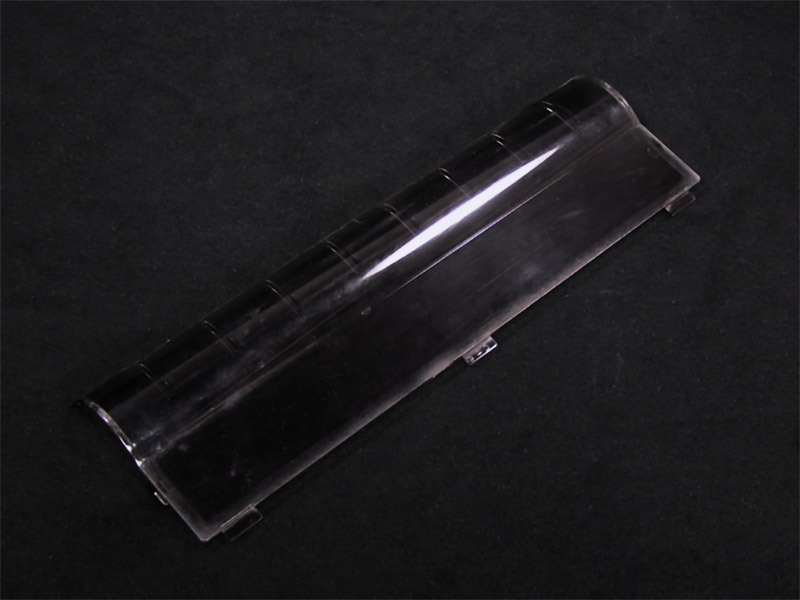 The top cover is shown with a mounting tab in the center of the front. Some of these covers have two tabs, none in the very center (not counting the magnet tab at the far right on all models). This cover is not interchangeable, so look closely at the top of your printer and model number before ordering. Coloring varies from Medium to Severe (pictured). Smoked covers will have at least minor scuffs or scratches, but a few have heavier scratches. Note that a Top Cover Assembly with Severe coloring will have the most scratches on the smoked cover part, so any choice about scratches applies to the separate Smoked part of the cover only. 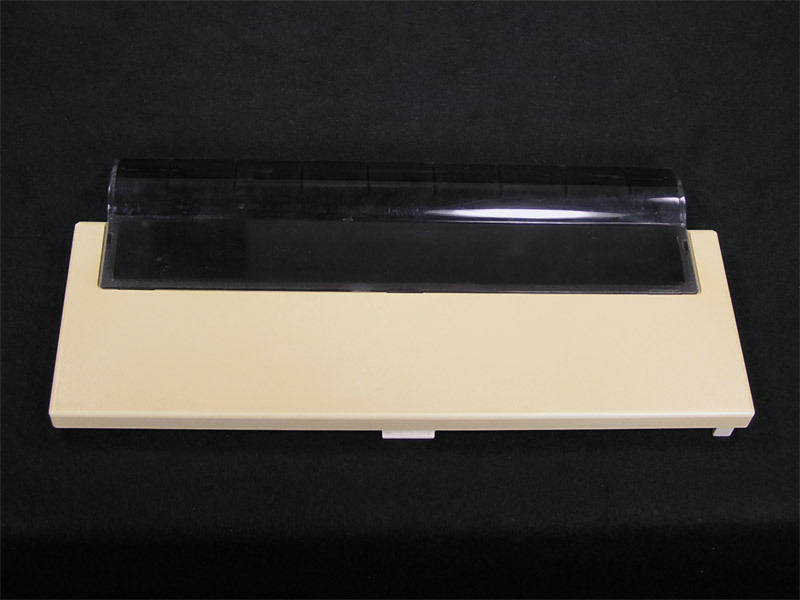 Front or Top case for the ImageWriter II printer, Model A9M0310 only. 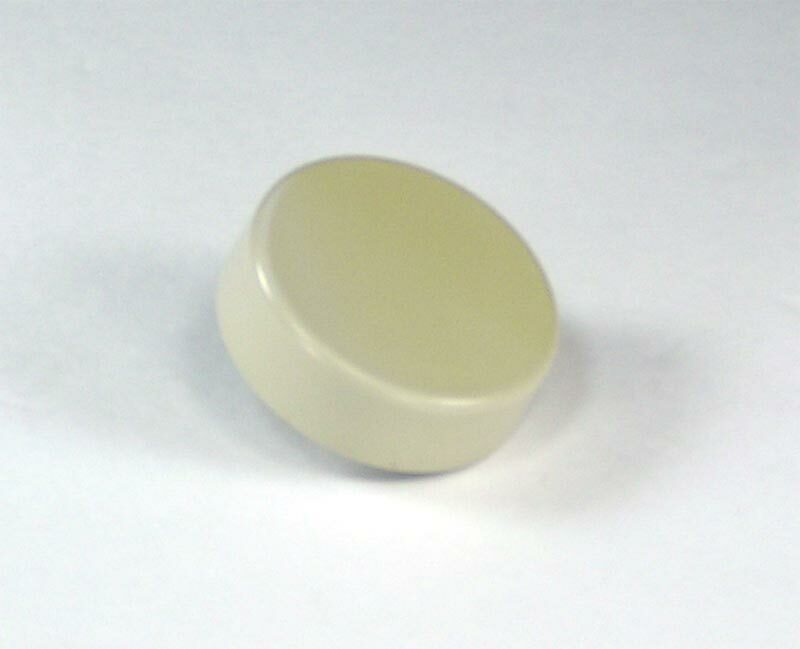 Includes captive screws. Legs for the ImageWriter Printer. Select your model below, coloring and ports are definitely model matched. 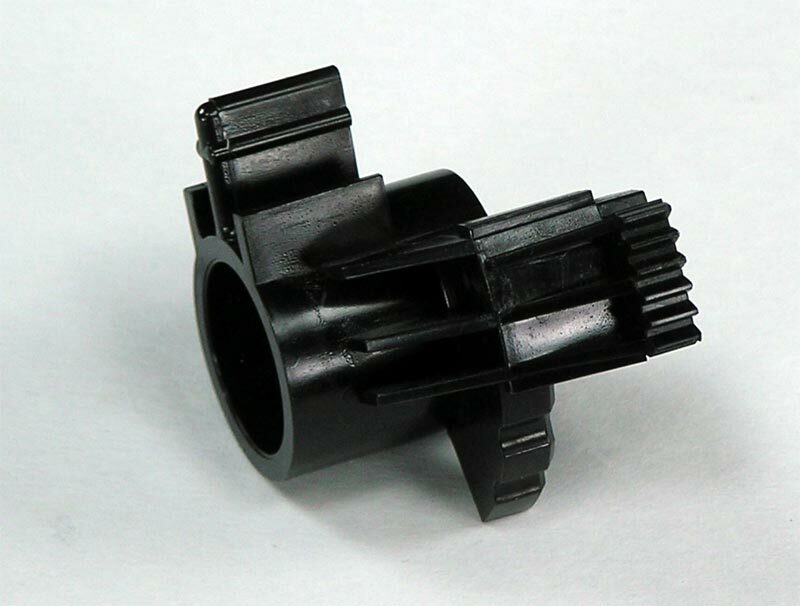 Contact me if you need this part for model G0010. 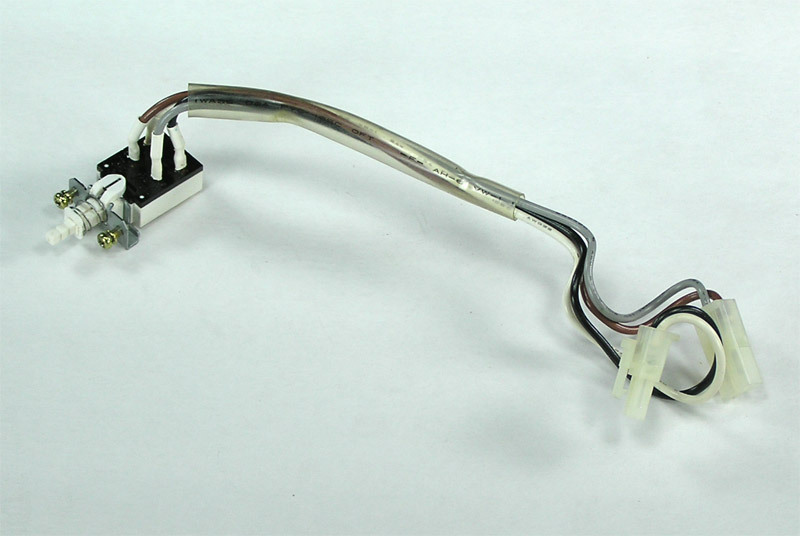 Sold individually as AC leg (Left) or Serial port leg (Right). 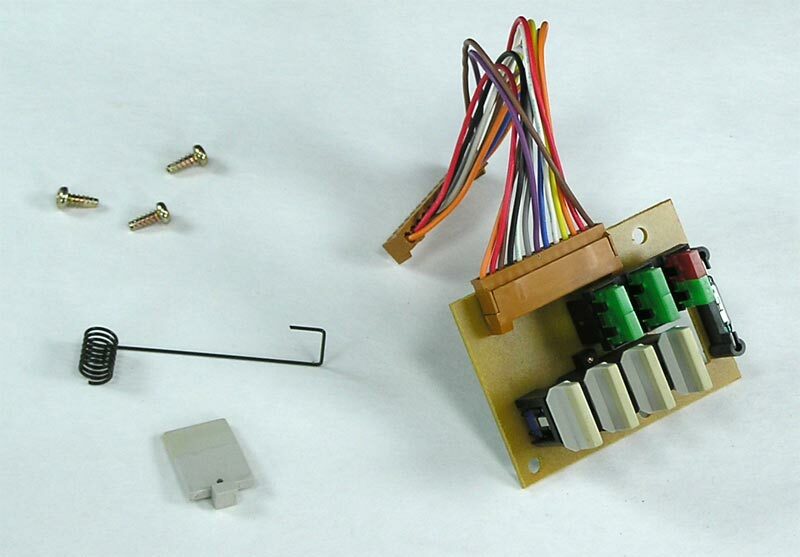 Serial Port and Wiring Harness for the ImageWriter II printer. 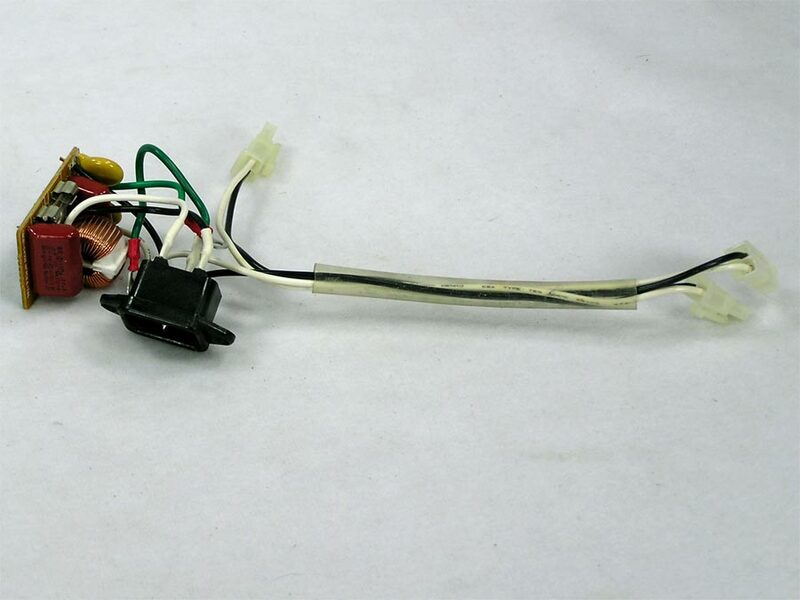 Aside from a different part number on the board, A9M0320 has an additional 3 wire harness. This appears to be the same between the ImageWriter II Model A9M0310 and A9M0320, but the wiring is about an inch and a half longer on the A9M0310 and there is a plastic tube over the wires on the A9M0320. 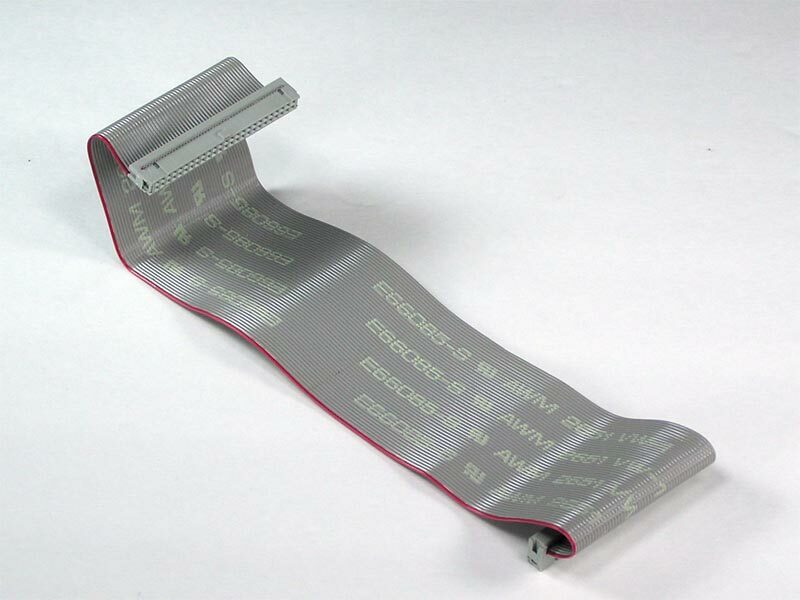 Contact me if you need this part for Model G0010..
Apple 922-0382 Paper Cassette or input tray for a LaserWriter Pro 600, 630 or LaserWriter 16/600. Available in Letter or Legal size.